Are you on your fitness journey for the right reasons? 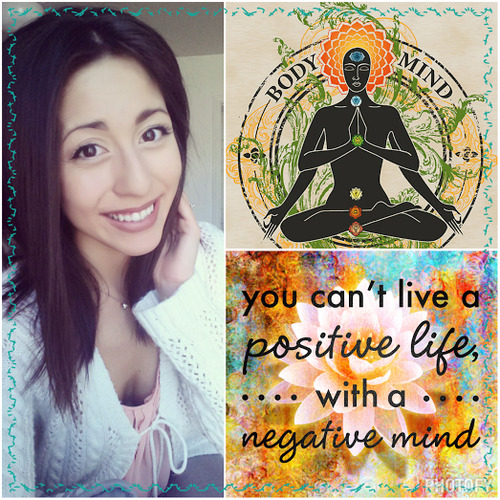 In this post, PumpUp member fitnessriss (@carissamarie2 on the pumpupapp) teaches us how to reorient our mindset in a positive way, allowing us to view our personal motives for “fitness” with more critical introspection. Everybody wants to be a health nut, to have that “perfect” body, and to be that “beast” in the gym. I’m curious though; do we know why we want these things? Are we working hard for the right reasons? We each have our individual reasoning, but together we should be working towards the same thing: to better ourselves, to become healthier beings, and to spread love. Your goals should not be surrounded in vain; striving to imitate the hottest celebrity or striving to become beautiful! Do it for YOU! You are someone great and you were born beautiful. Every human being is beautiful, you must learn to love yourself, because nobody will love yourself more than you will. We must stop comparing ourselves to people we’ve never met, and start comparing ourselves only to the person we were yesterday. Are you better than you were yesterday? No? Then continue to do exactly what makes you better than you were yesterday, whether that is working out, finishing your work, creating something, or simply thinking positively about yourself. Remember: be patient while working towards your goals! If your goal is to be healthy and yo see yourself going down an unhealthy spiral, make sure you pick yourself up instead of bringing yourself down. Boost your confidence with positive affirmations and keep working toward those goals. Be patient, you will get to where you need to be in time. Focus on the now, because that is truly where we are. Right now is all we have to bring the tomorrow we want. Worrying about your past or future is useless and wastes the time you have in the present. We are all beautiful human beings. Be proud. Be you. 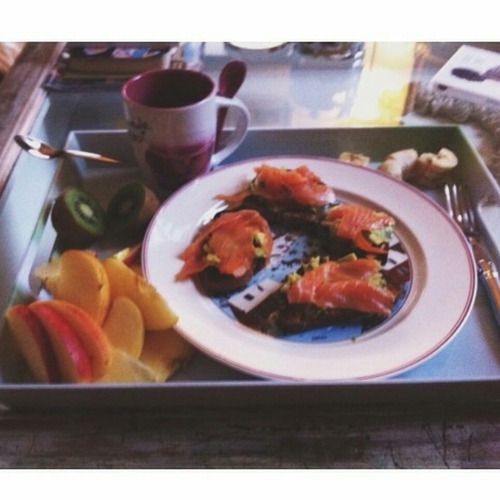 Stop saying I will be healthy, I will be beautiful, I will be happy. Instead, right now, at this moment, remind yourself you ARE healthy, you ARE beautiful, you ARE happy. Be all that you can imagine right now. And if you are able to make these realizations, you can view the world with clear eyes and a warm heart. You will see others with the same beauty you see within yourself and love others as you love yourself. In turn, this spreads positivity and happiness to everyone, and creates a better environment and better world for all of us to live in. Now, ask yourself, do you do what you do to become a better you? A healthier you? Are you doing this for your happiness and your well-being? Are you doing this for you? If Valentine’s Day is about celebrating the people you love, why shouldn’t Valentine’s Day celebrate you? Be your own cupid and send a relevant, hilarious love letter to yourself from the bottom of your heart. These pumpupapp cards are an amazing way to start. You deserve all of the cute doodles and positive affirmations in the world. You’re hot stuff, flaws and all (think Sriracha hot, and multiply that by 100). You’re absolutely amazing, at any and every size. Love your imperfections before you love your perfections. Love yourself. Josephine’s health and wellness journey got off to a rocky start. 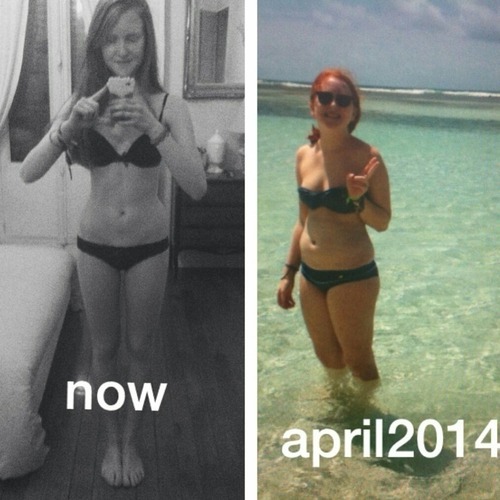 “My lifestyle before PumpUp was…pretty bad,” she admitted. “I HATED vegetables and loved junk food, candy, sugar, and other things that weren’t good for my health. 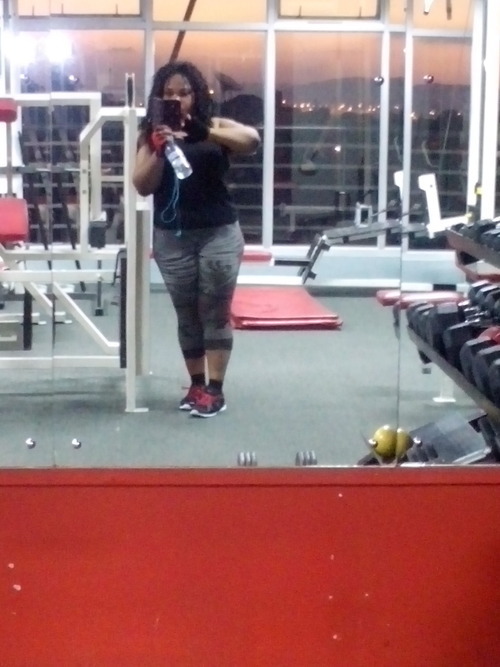 I’ve had the app for quite some time, but I didn’t use it much at first because I gradually became motivated to work out.” Josephine exercised about once a week, without making any changes to the way she ate. “I used to wake up in the morning, eat toast with Nutella, then potatoes with meat at lunch, and sometimes junk food for dinner,” she explained. Josephine suffered from deep-seated insecurity issues prior to joining the PumpUp community. 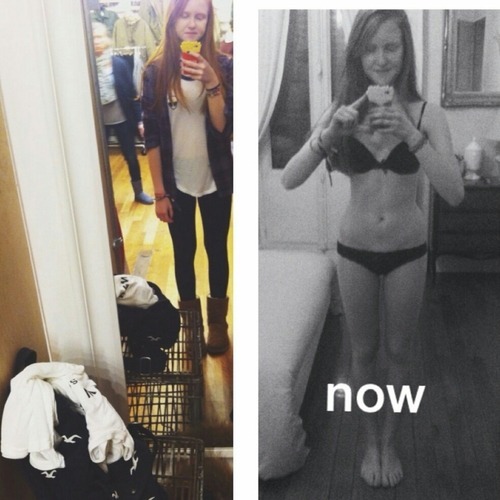 “I was bullied when I was younger, and this caused me to hate my body,” she shared. “I was unconfident about the way I looked and felt. I plummeted into deep depression two years ago and I was suicidal.” During this period of time Josephine explained that she had bulimia and would go through long periods of time without eating, restricting her self to 100 calories per meal. 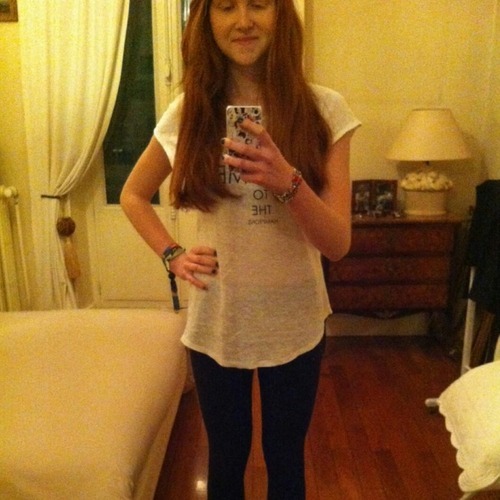 “I lost 5 pounds but I was still unhappy,” Josephine confessed. 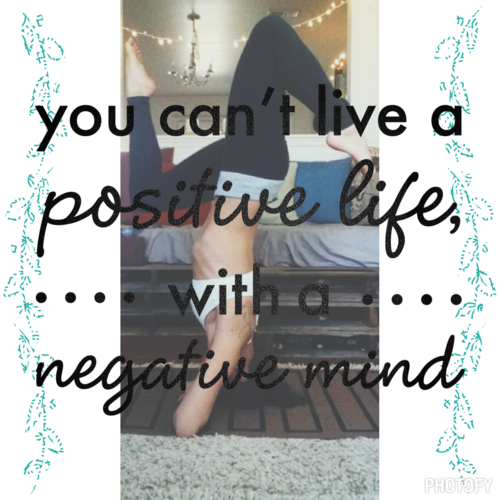 “When I began to work out, I started to feel less depressed and more confident in my body. I spent time with people I love, and FELT HOPE! With the help of the amazing PumpUp community, my family, and my friends, I found strength to start all over again. 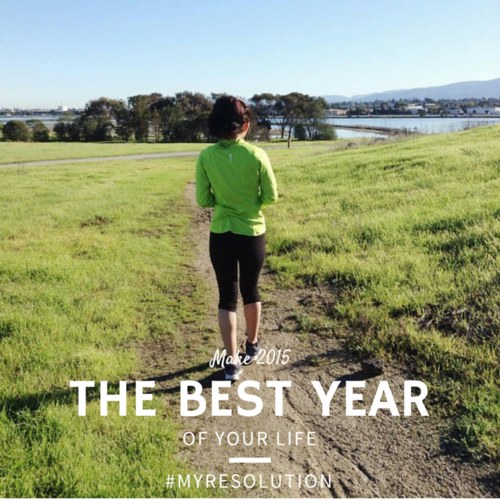 I now aim to be a fit, strong, and healthier me.” Her ultimate goal for 2015 is to lead a happy and healthy lifestyle: no more restriction, just balance. Keep Josephine pumped up on the app at @hey5sos and on Instagram @heartoflxis!! Let's Change Low Self-Esteem into Self Love! Ever thought that because of how you look people will not take you seriously? As a consequence, you’re hesitant to push yourself to the forefront because you’re afraid of how you they think you look. Will they like me? Will they really listen to ME or will they just look at how fat or how skinny I am? You find every reason to convince yourself and others that you are not the right person for the job, even if others believe in you. Let me tell you right now, DO NOT LIMIT YOURSELF. We are on a journey together. What you weigh right now is not the final you! Don’t give up. There are people who will doubt you and who will tell you that your goal does not make pragmatic sense. Don’t listen to them. You don’t need to prove anything to anyone; strive to become better than you were yesterday - for YOU. When people criticize you, they’re just jealous - that’s the truth. This is a progress photo from Abigal: she’s lost 15 pounds this month! I can say all this because there was a time when I thought that self-esteem was derived solely from how you look. So I was afraid to go out; afraid to speak up; afraid to go to the gym because I was extremely body-conscious; afraid to have confidence; afraid to develop my skills and excel in everything I do because I was afraid of what people would say about me - how I look and how dare I have so much confidence, looking like that. Over the years I have come to realize that self-esteem is, above all things, loving who you are and appreciating where you are in life and working each day to become better, to be one step closer to self-actualization. 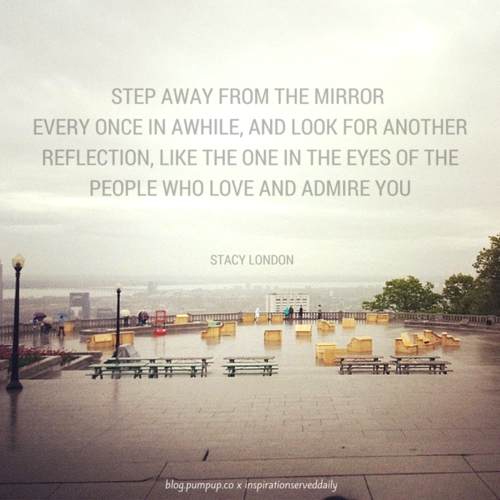 So in 2015 and beyond - love yourself. Be the most positive and determined person you know. We cannot truly encourage others and not encourage ourselves. Do not let ANYONE control your emotions and define what you think of yourself. No more low self-esteem; self-love then spread love. PumpUp's best articles. Find everything you need to get healthy in this post. Whether you’re beginning your health and wellness journey, looking to spark your life with a bit more positivity and pep, discerning the truth about fitness myths, or scouring the internet for a new way to challenge yourself, PumpUp’s fantastic blog community has you covered. 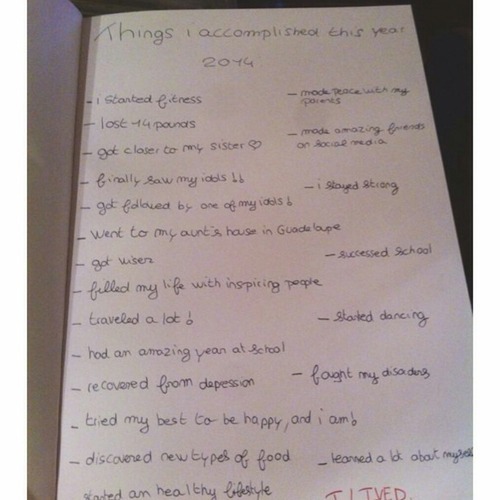 Check out these amazing tips and anecdotes of advice that PumpUp posted over the past year. The start of anything new is always the hardest. Remember this: There is no such thing as an ending. Just a new beginning. These articles contain useful information that will help you to find your way, go the distance, and become the best version of you. I lost motivation during my fitness journey, then found it again. Here’s how. It’s easy to interpret misleading information as the truth. Ever been told that crunches are the key to flat abs? Not so much. Our bloggers have done a tremendous job at addressing health and fitness myths that tend to obscure what really matters. Anaerobic vs. Aerobic fitness: which is better for your health?